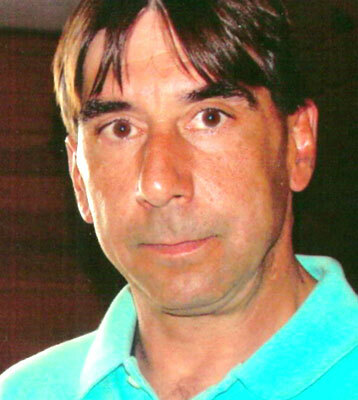 POLAND - Ronald Aaron II, 50, died early Sunday morning, Sept. 29, 2013, at St. Elizabeth Health Center. Ronnie was born July 18, 1963, in Youngstown, a son of Ronald and Nora Pacalo Aaron Sr.
Raised in Struthers, Ronnie was a 1981 graduate of Struthers High School. He worked in maintenance for HP Nemenz Food Stores for several years. Ronnie was extremely gifted with his hands and could fix anything. Ronnie was loved by all who knew him and he will be remembered for his generosity in always willing to lend his helping hand and for his great sense of humor. He leaves four sisters, Teresa (Douglas) Stahl of Canfield, Elaine Aaron of Struthers, his twin, Renee Aaron, with whom he made his home, and Elizabeth (David) Sawyer of Columbus, Ind. ; five nieces; one nephew; and three great-nieces. Funeral services will be held Friday, Oct. 4, 2013, at 1:30 p.m. at the Davidson-Becker Funeral Home, with Pastor James Berkebile officiating. Entombment will follow at Green Haven Memorial Park. Please share your memories of Ronald II.